This smooth and creamy Leche Flan is easy to make. The fussy part about the recipe is the caramelized sugar that gives the flan it’s attractive glassy caramel surface. First, let’s talk sugar. 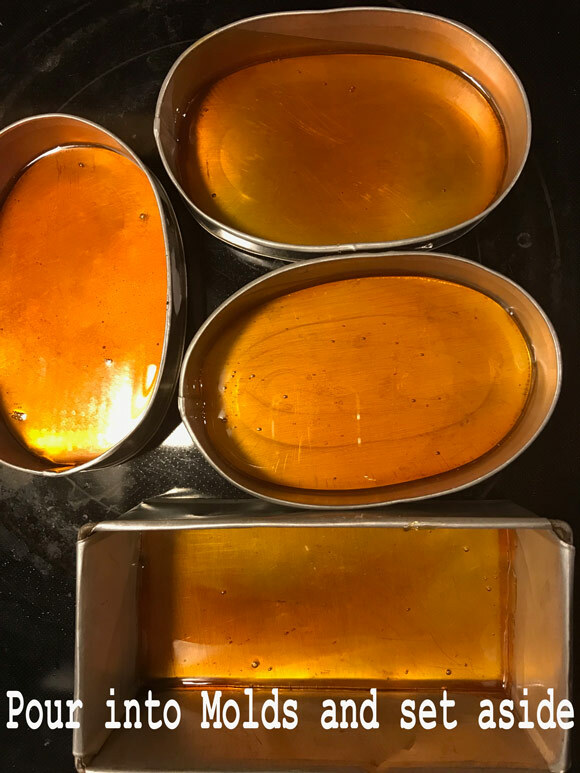 Be careful when making caramel. Sugar when heated turns into a thick molten liquid, also known as caramel, which is about 340 to 345 degrees Fahrenheit. Avoid skin contact with caramel because it will cause a severe burn injury. 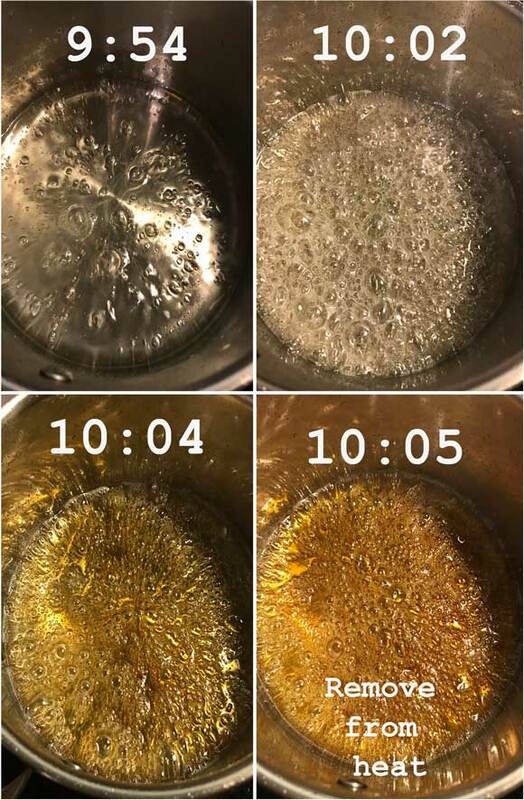 The image below is atime lapse from initial boil of sugar and water to caramel stage. 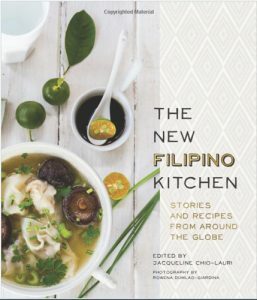 I’ve chatted with some Filipino Food IG friends on how to produce the perfect flan. Surprisingly, there were some methods and tips that were contradicting. That’s a good thing! 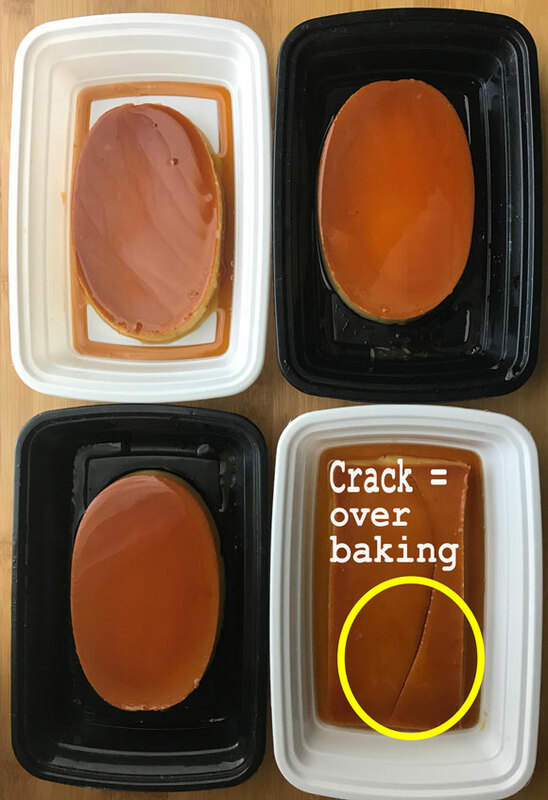 It means there are different ways to make flan, you just have to find the right method that works for you. When baking, Leche Flan needs to bake in a water bath. 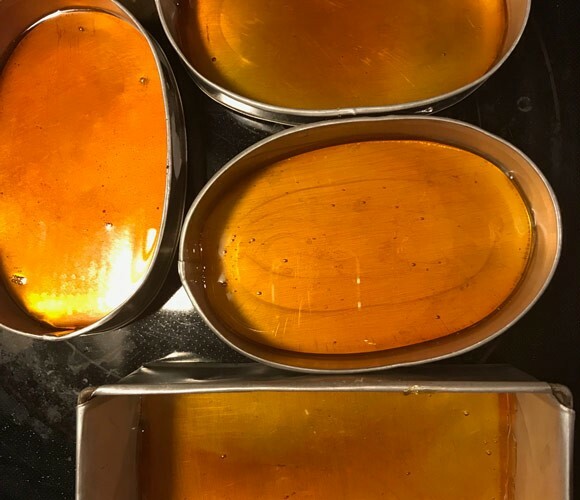 Another method for Flan is to let it cook in a steamer rather than an oven. To check for doneness, inserted toothpick in the middle should come out clean or check if the middle of the flan is firm. 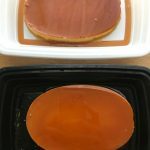 The traditional pan/mold for Leche Flan is called Llanera (Lee-ya-nera), however, any rectangular or circular pan can be used. For this recipe, I used 3 small oval llanera’s (5 1/2 x 4 inches) and a small rectangular baking tin (6 x 3 inches). Two 8 inch round cake pans or an 11x 7 inch rectangular baking dish can also be used. This leche flan recipe is smooth and creamy. It’s texture is rich, velvety, melt-in-your mouth delicious. Filipino Flan or Leche Flan is easy to make. The fussy part about the recipe is the caramelized sugar that gives the flan it’s attractive glassy caramel surface. 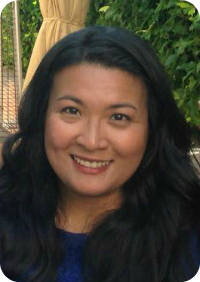 @3poodlefarm – my food and baking chat sister.